New (1) from $74.99 & FREE shipping. 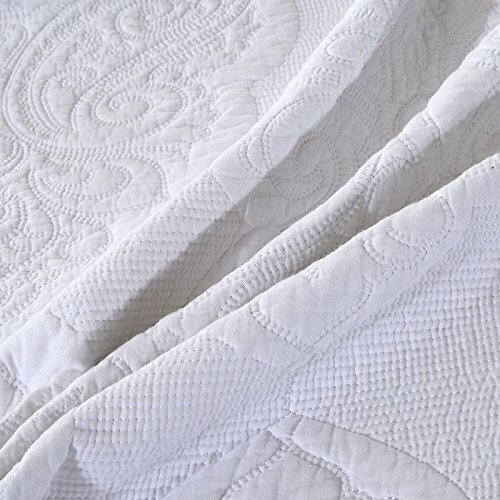 Size:King | Color:Style 2 Cotton Bedspread Main Features: - Environmental friendly - 100% cotton fabric, health, environmental protection, breathe freely, comfortable - These lovely patchwork quilted bedspreads are done with impeccable quality and durability which can be used as summer quilt, blanket, bed cover,bed sheet in winter or sofa cover - Elegant yet durable, their softness is enhanced with each washing - Washing Instructions : Machine wash in cold water with similar colors. Tumble dry low. 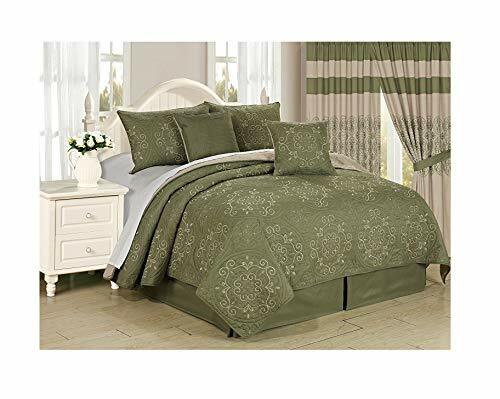 Do not bleach Specification Material: 100% cotton Size: bedspread:90" x 98"(230 x 250 cm) pillow:19" x 27"(50 x 70 cm) weight:3.25 kg Package List 1 bedspread 2 pillowslips What is Patchwork? Patchwork is a form of needlework that involves sewing together pieces of fabric into a larger design. 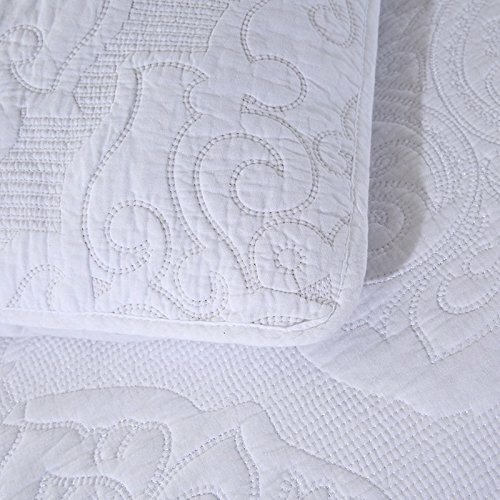 The larger design is usually based on repeating patterns built up with different fabric shapes (which can be different colors). These shapes are carefully measured and cut, basic geometric shapes making them easy to piece together. 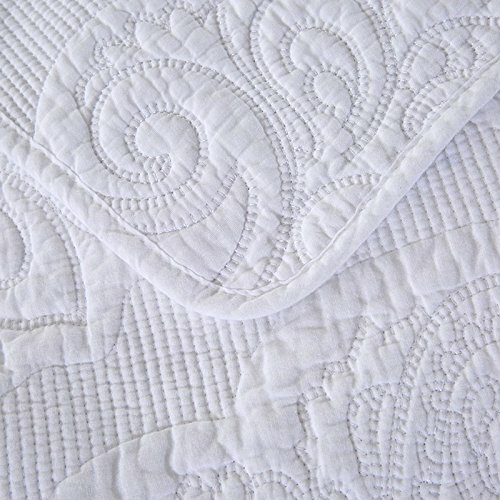 Patchwork is most often used to make quilts.When used to make a quilt, this larger patchwork or pieced design becomes the "top" of a three-layered quilt, the middle layer being the batting, and the bottom layer the backing. 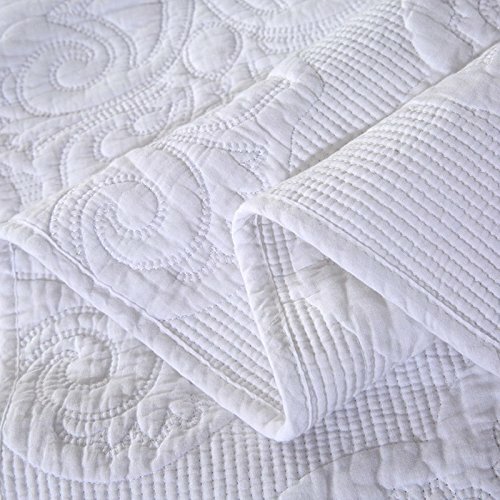 To keep the batting from shifting, a patchwork or pieced quilt is often quilted by hand or machine using a running stitch in order to outline the individual shapes that make up the pieced top, or the quilting stitches may be random or highly ordered overall patterns that contrast with the patchwork composition.